The notions of sustainable design and energy efficiency first entered global consciousness following the energy shortages of the 1970s and 1980s. Influenced by ideas of energy independence, many designers in Europe and North America sought ideas and strategies that could help create energy-efficient buildings and cities. As they searched for design solutions, some researched the environmentally responsive elements of traditional architecture, while others developed new solutions that employ modern technologies and high performance materials. 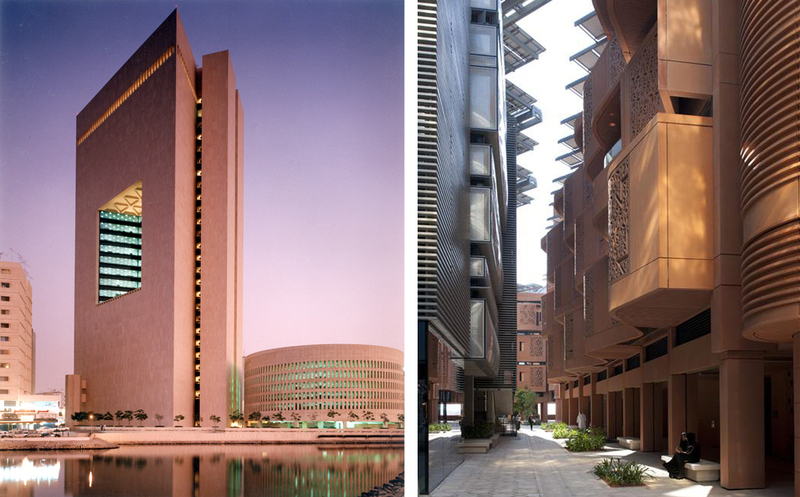 UPDATED – The King Abdullah University of Science and Technology (KAUST) at Thuwal (near Jeddah) in Saudi Arabia was recently announced as one of the winners of the American Institute of Architects’ Top 10 Green Buildings awards for 2010. The new international graduate-level research university was established by the government-owned Aramco, the world’s largest energy corporation, to drive innovation in science and technology and to support world-class research in areas such as energy and the environment. The campus project was designed by HOK Architects and was completed in September 2009. 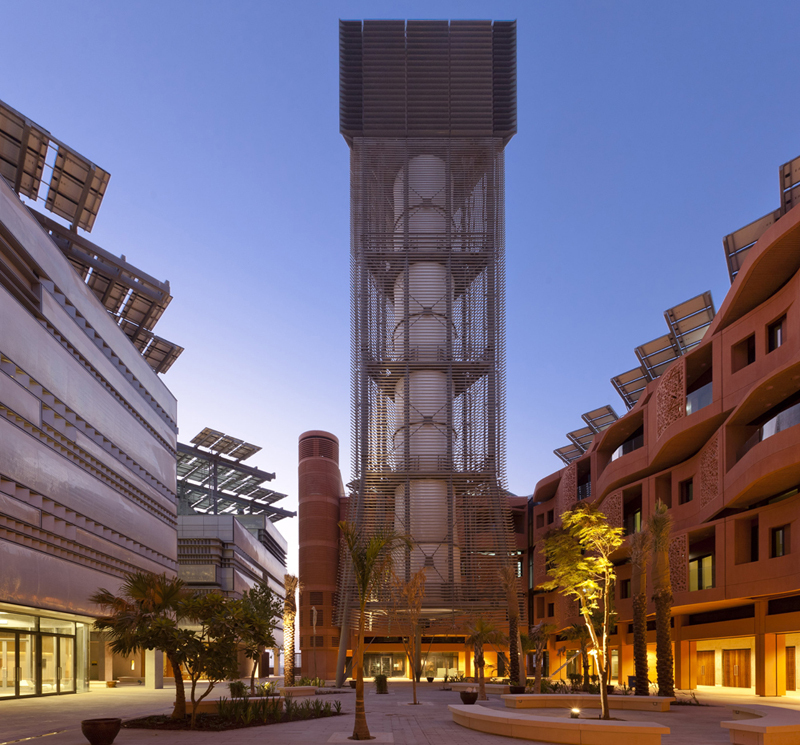 KAUST’s new campus is Saudi Arabia’s first LEED certified project earning a Platinum certification, the highest rating in the United States’ green building rating system At 496,000 Square meters, the project also represents the world’s largest LEED Platinum project. In February 2010, the design for Al-Birr Foundation Headquarters in Riyadh, Saudi Arabia, has been named as the winner of the 2010 Architectural Review / MIPIM Future Projects Awards under the ‘tall buildings’ category (Image 1). The unbuilt project, designed by Perkins+Will’s New York Office, was commissioned for Al-Birr Foundation, a non-profit organization aimed at alleviating poverty and caring for disadvantaged families and children. 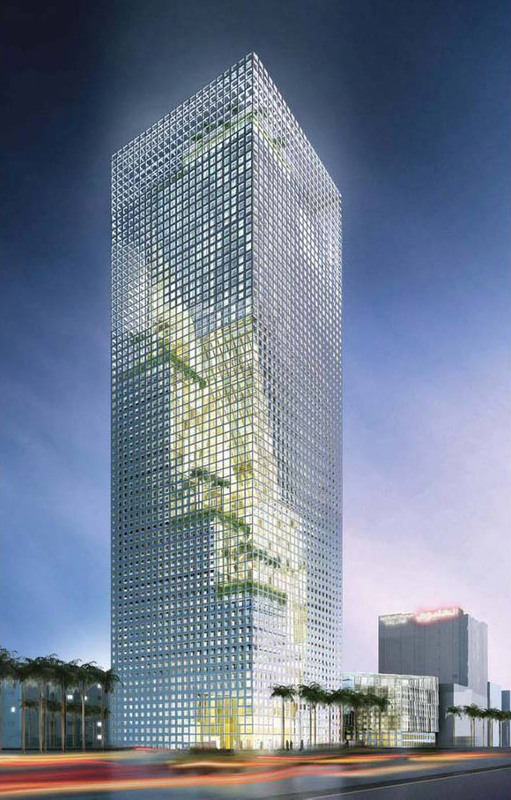 Of the many features of the design of the 59, 000 sqm tower, perhaps the most interesting is how it was concieved as a sustainable urban tower that responds to the environmental characteristics and the microclimate of the city of Riyadh, which is a challenging climate to address given the extreme solar exposure and the heat conditions of Riyadh. Faced with these climatic conditions and a deep plot of 1000 x 1200m, the projects’s designers response was to rethink the high rise typology in this context. The design’s most visible response to the climate is the building’s envelope which was designed as a large rectangular frame of brise-soleil enclosing the occupied parts of the building. This shading frame was designed to respond to both the different amounts of solar radiation received by each elevation as well as the interior spaces behind it. To achieve this result, a mapped shading mesh was devised to provide varying levels of openness for different locations of the different elevations depending on its solar exposure and its spatial/contextual influences. The result was an envelope that resembles a mesh of varying densities surrounding the building and simultaneously protecting and revealing the activities behind it. This proposed design solution thus helps the building reduce its solar heat gain while maintaining its views towards the city (FIgure 1). In addition to this shading effect, the mesh-like dynamic treatment of the envelope has also helped animate the building’s expression with the dense and sparse zones of the facade adding a dynamic effect to what otherwise may have become a static pure form.